Despite the presence of Conor Shaughnessy and John Souttar, both 22, the average age of Hearts’ centre-backs is 29. Veteran Aaron Hughes, at 39, is almost certain to leave at the end of the season, while Shaughnessy will return to his parent club and Clevid Dikamona’s future is by no means certain either. At 23, Craig Halkett is experienced enough to step into the Hearts rearguard but still young enough that the Jambos will get several years out of him, or be able to sell him on for a profit if he continues to impress. Halkett already has more than 130 matches under his belt for Livingston, including a 43-game season in Ladbrokes League One in 2015/16, and a 48-game season in the Ladbrokes Championship in 2016/17. He’s already made over 35 appearances this season and is on course to make more - his fitness levels will also be a boost for a Hearts defence that hasn’t had its injury worries to seek in recent months. Granted, Halkett missed Livingston’s 2-1 defeat at home to Hibs after reportedly injuring himself blocking a shot during training, but that approach will surely endear him even more to Hearts fans. After starting out at Rangers and being sent on loan to Clyde and Berwick Rangers, Halkett made a name for himself by helping Livingston to consecutive promotions. In a Livi team that has earned plaudits for their performances on their return to the Scottish top flight, captain Halkett has stood out. In the past 12 months alone he’s been linked with a return to Ibrox as well as moves to Blackburn Rovers, Hibs, Sheffield United and Hearts. That there has been dismay from Lions fans at his constant omission from the Scotland squad sums up just how highly regarded he is in West Lothian - and he’s also played a key role in Livingston holding the joint-fourth meanest defence in the Scottish top flight. With 33 goals against, only Celtic, Rangers, Kilmarnock and Hibs have conceded the same, or fewer, than Gary Holt’s side. Penalties may be a sore point for Hearts fans after a few missed efforts this season, but in Halkett they will have a cool character capable of stepping up for spot-kicks. But it’s not just penalties - the former Rangers youngster is a threat from set-pieces too. Of his eight goals last season, only one was from 12 yards. This term, only one of his five has come from the spot - in the 5-0 win over Hearts on December 14. He’s not the tallest but he poses problems in dead-ball situations and has a nice shot on him as well. Hearts’ central defenders have managed five between them this season - two each from Berra and the now-departed Jimmy Dunne, plus one from Dikamona. Adding Halkett to the mix could give Craig Levein’s side more of an attacking threat at corners and free-kicks if his recent goal stats are anything to go by. Halkett is comfortable operating in a back three, as he has done so often with Livingston, but he’s equally happy in a back four - which is good news for Craig Levein who often chops and changes his backline dependent on opposition. He has been deployed on the left in 3-5-2 formations, and as the left-sided centre-half in a back four, but favours his right foot. He gets forward well to support attacks from open play, as evidenced by his foray forward against Hearts in mid-December that led to Zdenek Zlamal’s industrial challenge, subsequent penalty award and opening goal, which he scored himself. He could also fill in either full-back slot in an emergency, having played in both positions for Livingston further down the leagues. Hearts fans impressed by John Souttar’s willingness to pass the ball rather than launch it up the field at every opportunity will welcome the arrival of Halkett, another ball-playing defender. 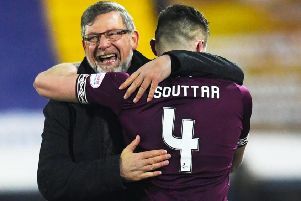 For a commanding centre-half, his ball control is more akin to a central midfielder, and Craig Levein will hope Halkett can follow in Souttar’s footsteps by continuing to improve and forcing his way into the Scotland set-up. 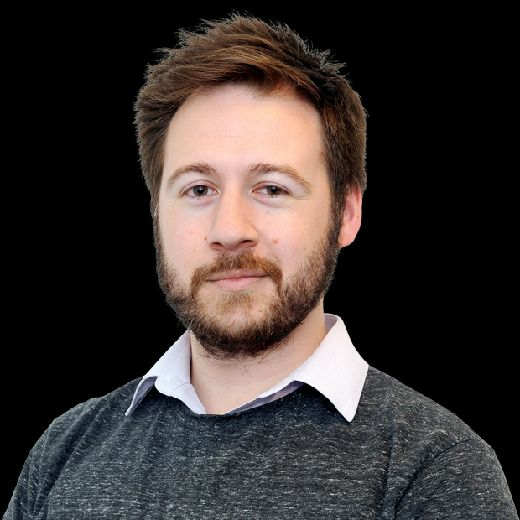 Halkett has benefited from having the likes of Declan Gallagher and Alan Lithgow alongside him doing the bulk of the dirty work, but his success in shutting out the league’s top scorer Alfredo Morelos and £9 million Celtic signing Odsonne Edouard in a 1-0 win and 0-0 draw respectively shouldn’t be overlooked either.